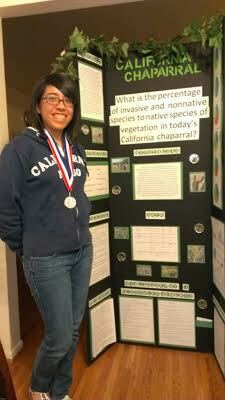 Tutoring Solution Student Gets the Silver Medal in Inland Empire Science & Engineering Fair – Congratulations to Theresa Valdez! We are excited to announce a great accomplishment by one of our students – Theresa Valdez. We first introduced you to Theresa, in September of last year, when she was chosen as our Student of the Month for September 2013. 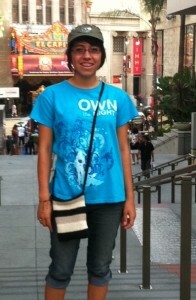 Theresa is an 11th grades student from Centennial High School – one of the many wonderful schools in Corona. She is a very intelligent and highly motivated young woman. She continues to astound us with her determination to keep learning and to set high goals for herself. She loves to try new activities and take on new challenges in order to grow into a well-rounded individual. Because of her hard work, she was able to win the silver medal in the Inland Science and Engineering Fair – “a competition of science projects designed, developed, and displayed by elementary and secondary students from schools in Riverside, Inyo, Mono, and San Bernardino counties”. Theresa is clearly on her way to achieving all her goals. We are immensely proud to be able to work with Theresa and her family. We know we will hear many more wonderful accomplishments from her in the years to come. Congratulations Theresa! 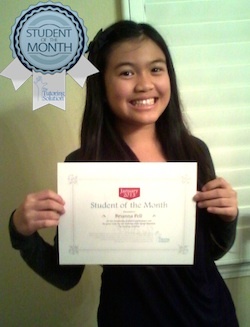 To read more about other Student’s of the Month, click on the link. 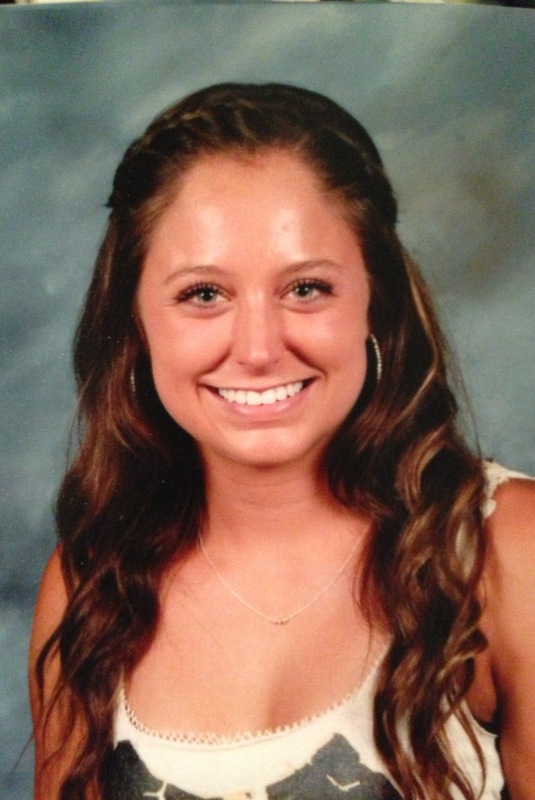 Our November Student of the Month is Dana Puhl. Dana is a very intelligent young lady who, like the rest of our Students of the Month, goes above and beyond in order to achieve her academic goals. 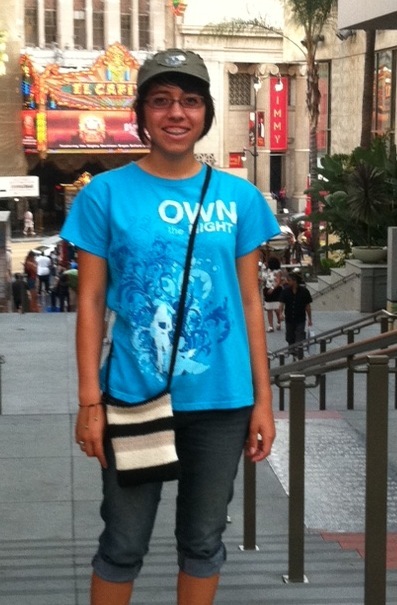 Dana has been receiving Chemistry tutoring in Corona since September 2013. She has been working with one of our go-to Chemistry tutors, Stephen Mackessy. We selected Dana as our November Student of the Month because of her great desire to fully understand the subjects being taught in school and her eagerness to learn. When describing Dana, her tutor says, “She’s a bright girl. She can understand concepts fairly quickly and she doesn’t normally struggle with an idea for long.” Stephen went on to say, “She is hard working and motivated. Unlike some students, she definitely shows a willingness to learn the material rather than just going through the motions and being resistant to the subject.” He then added that Dana makes tutoring easy. Dana and her family are a dream to work with. We are always excited when we get the opportunity to work with other people who value education as much as we do. We know that because of Dana and her family’s strong commitment to education, nothing but great things are in Dana’s future. We look forward to seeing her continue to grow academically and to see her achieve all her goals. Congratulations Dana! If you feel that your child has improved in school, due to the tutoring they have received from us, and you would like them to be featured as our student of the month, please send us an email letting us know how your child has improved. We hope you can help us how show proud we are of each one of our students. We provide tutoring in Norco, Eastvale, Chino, Chino Hills, Mira Loma, Alta Loma, Ontario, Corona, Rancho Cucamonga, San Dimas, Diamond Bar, Phillips Ranch, and all the surrounding cities. We have students from Sky Country Elementary, Oxford Preparatory Academy, Heritage Oak Private Education, Townsend Junior High School, Roosevelt High School, Alta Loma High School, Norco High School, Centennial High School, Chino Hills High School, Ontario Christian High School and Ayala High School. 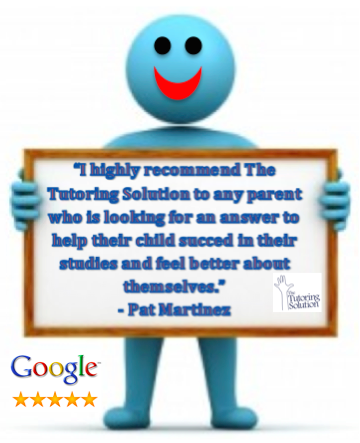 Please email us (TheTutoringSolution@gmail.com) or call us (909-238-8233) today to schedule tutoring for your child. Theresa Valdez was chosen as our Student of the Month for September 2013, because of several reasons; the main one being, her strong desire to learn and succeed in life. 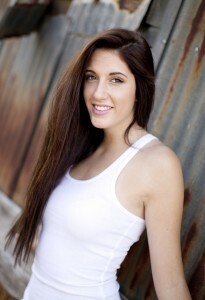 Theresa is an intelligent and motivated student who does not shy away from working hard to achieve her goals. This year she has added on quite a few additional tasks to her already hectic schedule; she has taken on a multitude of advanced placement (AP) classes, along with some extracurricular activities. Theresa clearly understands that there is nothing like hard work to achieve one’s goals. Unlike many students her age, including many adults, Theresa knows the value of hard work and therefore does not expect things to be handed to her. She knows that when it comes to learning, there are no shortcuts. Her tutor, Laura, says that Theresa “is not afraid to ask questions when she needs further explanation. She is also willing to do extra, unassigned problems just for practice.” She clearly demonstrates a strong urge to learn and to continue improving. Theresa has been receiving tutoring from us since April of 2013. She has been working with Laura Mitchell, from the beginning, to improve her math skills, and she just recently started working with Kimberly Cruz as well, to help with her AP US History Class. Right from the first few sessions of working with Laura, Theresa saw the benefits of having a one-on-one tutor guide her through the tasks that were giving her the most difficulty. Like many of the students we have the pleasure of working with, Theresa has the support of her family, who constantly pushes her to live up to her full potential. Support from loved ones is an integral part to student success. We look forward to continuing to see Theresa thrive and achieve all her goals and dreams. We would like to thank her, along with the rest of our Students of the Month, for inspiring us, and those around them, to work harder to achieve our own goals. We provide tutoring in Norco, Eastvale, Chino, Chino Hills, Mira Loma, Alta Loma, Ontario, Corona, Rancho Cucamonga, and all the surrounding cities. We have students from Sky Country Elementary, Oxford Preparatory Academy, Heritage Oak Private Education, Townsend Junior High School, Roosevelt High School, Alta Loma High School, Norco High School, Centennial High School, Chino Hills High School, Ontario Christian High School and Ayala High School. For the month of August, we selected Adam Armendariz as our Student of the Month. Adam has been receiving tutoring for the past six months, in order to improve his writing and math skills. Throughout the time that Adam has worked with our tutor, Jaimi, he has made great strides. Due to the improvements he has made, and because of his deep desire to continue learning and growing as a student, we selected Adam as our Student of the Month for August. Jaimi, expressed how proud and impressed she was by Adam’s work ethic and his desire to keep improving. Jaimi said, “Adam gives his best at every tutoring session, he has great writing ideas, he has wonderful handwriting, and he is doing a great job improving his time on math facts.” Jaimi went on to say that Adam is a very motivated young man, who shows a lot of pride in his education. There really isn’t much more we could ask of from the students we get the opportunity to work with. Jaimi is not the only one who has noticed Adam’s improvement; his mother, Theresa, says, “Adam is working really hard with Jaimi, and has shown a lot of progress. Jaimi keeps him engaged and on task, she is very good with him.” It is always rewarding to hear when parents, and students alike, are happy with the benefits they have received from working with our tutors. We look forward to continue working with Adam and seeing him grow even more. It has been a pleasure working with Adam and his family, and we are pleased to hear they have seen the benefits of one-on-one tutoring. We were so inspired by all the students that participated in our Share Your Passion Scholarships that we decided to make them our Honorary Students of the Month for June. We decided to select all of them, as our Students of the Month, because they inspire us and they inspire those around them to continue to pursue our passions in order to lead happier and more fulfilling lives. These young individuals are proof of how powerful pursing ones passions can be and how it can help make the world a better place. Their passions range from being chefs to being nurses, runners, fashion designers, teachers, and lawyers, among many other callings. Many of them have demonstrated their desire to use their passion in order to give back and help others. With each essay that we read, it became clearer that, although these individuals are very young, they are all wise beyond their years and they inspire us to continue doing what we do and helping the youth in our community achieve their goals. We know they will all be successful at whatever they chose to do, because they genuinely love what they do and they are motivated by their passions. We find that a common theme among people, who bravely chose to pursue their passions, is that they are typically more successful individuals; unlike most, they don’t allow obstacles to get in the way of them following their dreams; their passion shines through that they get people to rally around them and support them; and these individuals tend to be happier and lead more fulfilling lives. We should all learn from these young, bright, and brave students and continue, or begin, to pursue our passions and give back to those around us. Thank you to all of you who participated in the Share Your Passion Scholarships. Thank you for inspiring us and for sharing your passions with us, and those around you. We hope that you all continue on your current path and achieve all your goals. We provide tutoring in Chino, Eastvale, Norco, Chino Hills, Mira Loma, Alta Loma, Ontario, Corona, Rancho Cucamonga, and all the surrounding cities. We have students from Sky Country Elementary, Oxford Preparatory Academy, Heritage Oak Private Education, Townsend Junior High School, Roosevelt High School, Alta Loma High School, Norco High School, Centennial High School, Chino Hills High School, Ontario Christian High School and Ayala High School. We selected Jaiden Griffin as our Student of the Month for May 2013. 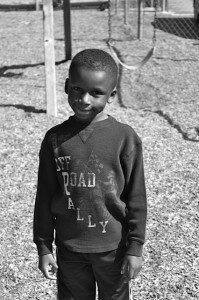 Jaiden is a 1st grade student who receives tutoring in Ontario. Jaiden has been receiving tutoring, from The Tutoring Solution, since December of 2012. His tutor, Jaimi Miles, has been working with him to help improve his reading and spelling. He has been doing a fantastic job. During the last few weeks he has made great strides. In the last two spelling tests that Jaimi administered, Jaiden scored 100% on both. His handwriting has also improved, thanks to all the hard work he has put in, and he “is sounding words and moving quickly through his sight word lists”. Jaiden has proven to be an extremely hard working and intelligent young man. He and his family are a pleasure to work with. Jaiden’s mother and family have also noticed the great strides that Jaiden has made. 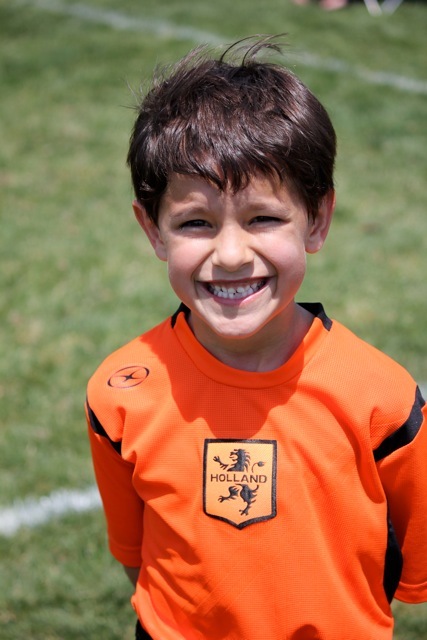 Wendi, Jaiden’s mother, said, “Jaiden’s grandparents, his Auntie and Uncle, as well as myself are really impressed at how much Jaiden has improved over these past few months”. They too are very proud of him and all the hard work he puts in to continue to learn. We want to congratulate Jaiden on all he has achieved this year. We hope to continue working with him and his family. We provide tutoring in Rancho Cucamonga, Eastvale, Chino, Chino Hills, Mira Loma, Alta Loma, Ontario, Corona, Norco, and all the surrounding cities. We have students from Sky Country Elementary, Oxford Preparatory Academy, Heritage Oak Private Education, Townsend Junior High School, Roosevelt High School, Alta Loma High School, Norco High School, Centennial High School, Chino Hills High School, Ontario Christian High School and Ayala High School. For the month of April, we selected Tannon Snow as our Student of the Month. We chose her because of how hard working, motivated and what an exceptional student she is. She is a one-of-a-kind young woman with high hopes for the future and a genuine desire to learn. I could not have asked for a better student to work with. Tannon is motivated, intelligent, kind, and extremely hard working. For as long as I have known her, she has always shown up to every tutoring session eager and ready to learn. She is one of those rare students that are not only interested in receiving high marks, but she has a strong desire to learn as well. I have had the pleasure of working with Tannon for almost a year now. During the time that I have worked with her, I have helped her mostly with her Spanish class. Throughout the months, I have noticed that she has achieved great growth and understanding of the language. The main reason for her success is that she is not the type of student that is interested in simply being given the answers, in order to get good grades, instead, she enjoys finding the answers on her own or being helped to understand why that was the correct answer. Tannon is extremely self-motivated and a high achiever. She has already obtained a full softball scholarship to her dream college. I am positive that because of Tannon’s motivation, her hard work, intelligence, and drive, there is no limit to what she can achieve. We provide tutoring in Chino Hills, Eastvale, Norco, Chino, Mira Loma, Alta Loma, Ontario, Corona, Rancho Cucamonga, and all the surrounding cities. We have students from Sky Country Elementary, Oxford Preparatory Academy, Heritage Oak Private Education, Townsend Junior High School, Roosevelt High School, Alta Loma High School, Norco High School, Centennial High School, Chino Hills High School, Ontario Christian High School and Ayala High School. For the month of March we decided to select Dillon Tomicic as our student of the month. 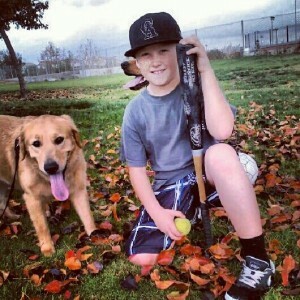 Dillon is a 5th grader at Newman Elementary School in Chino. Dillon has been working with our tutor, Jaimi Miles, for about 5 months now in order to help with his homework and to improve his grades. Jaimi has really enjoyed working with him and seeing him grow academically. She says he is a pleasure to work with and, that while working together, Dillon has brought his math grade up to an A. Jaimi said, “He is improving on his math fact skills, and becoming a better writer.” With Jaimi’s help and his hard work and determination, Dillon “has continued to keep up his grades in all subjects in school over the past few months”. He is a hard working student with high goals for his future – he is trying to get Honor Roll this quarter. We are delighted to announce that Dillon and Jaimi’s hard work paid off, Dillon made the Honor Roll for the first time! We are truly very proud of him and so excited about this wonderful accomplishment. Congratulations Dillon! Meet our first ever student of the month, find out about our 2013 Scholarships and meet our new tutor. Meet our first student of the month for 2013, find out about our 2013 Scholarships and meet our new tutors. We are excited to present the first Student of the Month for 2013. OurJanuary Student of the Month is Brianna Pell. We felt that this student fit the bill of what a student of the month should be. Although Brianna is extremely intelligent and receives terrific grades, she was not chosen for those reasons. She was chosen because of her need to keep improving and to not settle for anything less than the best that she can do. Brianna proves that even an A and B student can strive to be better and continue to push to achieve more. Click on the link to learn more about this wonderful young lady. This year again we will be awarding scholarships to students that can demonstrate how they will use their passions to pursue future careers and to help others. 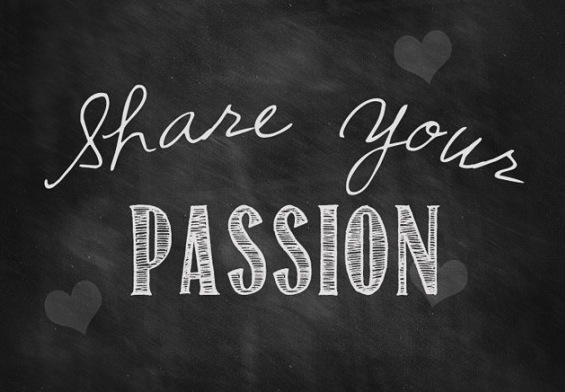 We will be offering a $250 Share Your Passion Scholarship to students of all Elementary, Middle, Junior High, and High Schools where we currently have students that we tutor. The deadline for that scholarship is June 14th 2013. Click on the link to learn more. We will also be offering Norco High School students a $100 Share Your Passion Scholarship and Eleanor Roosevelt High School students a $100 Share Your Passion Scholarship. We chose these two schools as a thank you to their staff and their students for being so involved in our organization. The deadline for these two scholarships is April 26, 2013. We will be presenting the winners with their awards at their Senior Ceremonies. Click on the link to learn more. 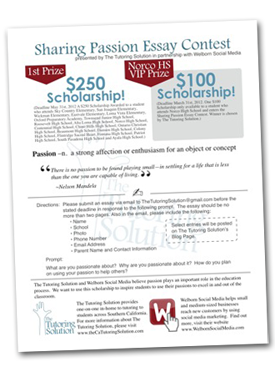 Once we have selected the winners of these three scholarships, we will then begin our $100 Facebook Scholarship Contest. We will provide more details once we approach the summer months. We would like to introduce one of our new tutors. She is a very talented tutor and we are happy to have her as part of our tutoring family. Gale Frankel – Gale has a Bachelors of Arts in Social Work from the California State University of Long Beach. She has been working as a substitute teacher for over 10 years, she has worked with special education students for 6 years, and she has been tutoring for over a year. Gale is terrific with elementary-aged students; she can help them with reading, writing, phonics and math. To learn more about Gale, click on the link. We outline 5 important things that you should know about progress reports in order to help you understand how to best use the information provided in these reports to assess your child’s educational achievements and to help them improve in areas where they may be struggling. 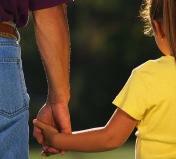 In light of the tragedy that has occurred at Sandy Hook Elementary, we felt it was imperative to give parents and educators tips on how to talk to children about these devastating events. 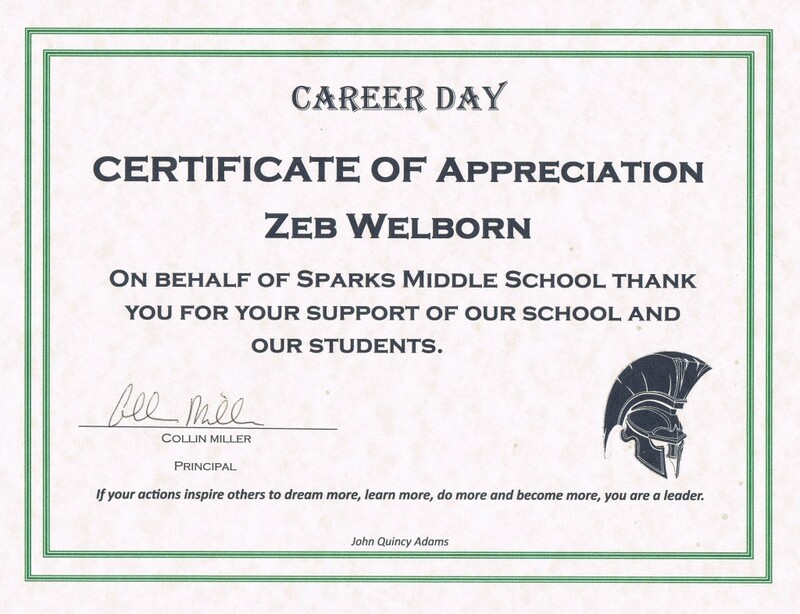 Zeb talks about the great opportunity he had to present to students at Sparks Middle School about pursuing their passions and finding careers that they love. If you know of anyone that would make a good tutor, please pass along our information. We are always looking for new tutors.If your child needs help in improving her or his grades, do not hesitate to send us an email (thetutoringsolution@gmail.com) or give us a call today – (909) 238-8233. We can help your child grow into a confident and motivated learner. We provide tutoring in Southern California in all subjects and grade levels.We provide tutoring in Eastvale, Chino, Chino Hills, Mira Loma, Alta Loma, Ontario, Corona, Norco, Rancho Cucamonga, and all the surrounding cities. We have students from Sky Country Elementary, Oxford Preparatory Academy, Townsend Junior High School, Roosevelt High School, Alta Loma High School, Norco High School, Centennial High School, Chino Hills High School, Ontario Christian High School and Ayala High School.